Your initial appointment at the hospital is likely to be at an outpatient clinic. Many different people with many different medical needs use our outpatient service. We provide outpatient clinics in all specialties at the hospitals. We provide a full range of outpatient services from both of our hospital sites where possible so you can access your first appointment at the most convenient hospital for you. You will receive an appointment letter with details of your appointment. Please double check the venue for your appointment so you are clear where you are going. Some outpatient appointment letters may also have particular instructions to expect tests or medications and other things to bring with you. To allow your consultant to monitor a condition you still have. Each of the clinics is led by a consultant and staffed by doctors and nurses trained in the condition or procedure covered by the clinic. 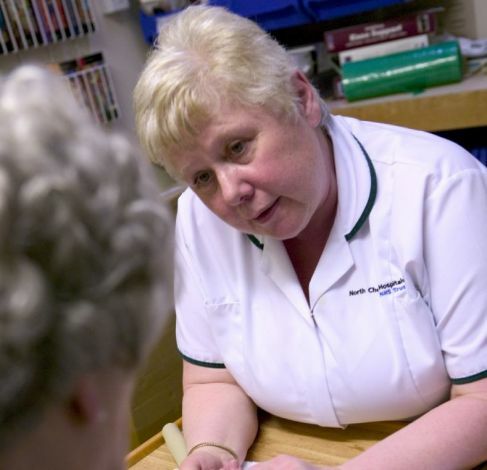 Some appointments will be with a specialist nurse, or you may see one of the doctors working with the consultant. Please follow any instructions in your appointment letter. It will also be useful if you can bring a list of any medicines or other conditions you have which may help our staff. The main outpatient area at Warrington Hospital is located near the main entrance (turn right once past the shops in the entrance area and follow the main corridor). However, other clinics for different specialties are held in other parts of the hospital (such as the eye clinics which are in Kendrick Wing in the ophthalmology department). Your letter will tell you which department it is in. At Halton General Hospital, the main outpatient clinics are held in areas near Entrance 1 (main entrance) just past the main reception. Patients book in at the main reception desk in the entrance area of the hospital. At the Cheshire and Merseyside Treatment Centre, the outpatient department is on the ground floor of the centre. You can book in at the main reception desk. As an outpatient you are likely come into hospital for a short appointment. You will not need to stay overnight in hospital - although very occasionally your consultant may feel that your condition requires an urgent hospital stay. You may have a blood test or other minor diagnostic test during your visit depending on your condition. Your consultant may refer you for further tests if they feel it is appropriate, or prescribe medication for you. If a medication is urgent it will usually be prepared at the hospital pharmacy for you to collect. if it is not urgent you will be given a prescription that you will need to take to your GP practice. If you need any other diagnostic tests such as scans you will be given a further appointment - although where it is possible you may see your consultant and then have tests carried out on the same day so that we can quickly diagnose you and save you having to come back to hospital. We will try and let you know in advance if we plan to do this so you can plan your time effectively. If you need to change your appointment, please call the number on the letter to change your appointment. If you need to cancel the appointment this can be done online using our cancellation form by clicking here. You can use our online cancellation service by clicking here . It's really important that you try to attend your hospital appointment. If you have been asked to come and see us at the hospitals it is because your doctor thinks you should see a specialist expert about your health and you may need some important treatment. If you really can't make your appointment, don't worry but please let us know with as much notice as possible by calling the number on your appointment letter or by cancelling it via the online cancellation service here. 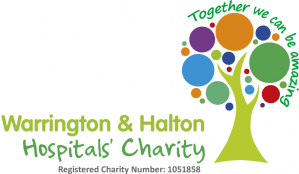 Warrington and Halton Hospitals NHS Foundation Trust is a smoke free hospital site.Smoking is not allowed on any part of Warrington or Halton hospital sites. This includes the grounds of the hospital as well as the buildings themselves. Visitors, patients and staff found smoking on the site will politely be requested to put out their cigarettes. Please do not take offense at this - it is a decision made on sensible health grounds to keep our sites clear of smoke and as an NHS organisation we feel it is the right thing to do. If you wish to smoke whilst visiting you will need to leave the hospital grounds. Banning smoking has led to a massive reduction in the number of smokers on site and a better environment for patients and visitors but we are aware that smoking outside some entrances is still a problem at times. If you are a patient coming into hospital you can request smoking cessation advice and support to help you quit smoking. Please contact the ward staff for information. If you do wish to leave the ward and hospital site to smoke you must let the ward staff know who will advise if this is possible depending on your condition and treatment. We hope you understand our decision to be smoke free and will support us in this work.